At Raindance we love web series, so much so we launched the UK’s first Web Fest, a two day film festival devoted to online indie series. I believe in this day and age, the digital age of social media, every filmmaker should attempt to make their own web series for one very important reason: you learn to connect directly with your audience. This is a skill most producers/filmmakers/directors/actors/screenwriters don’t possess because they don’t teach it at the accredited film schools. Many indie filmmakers will be self-releasing a film at some point, so connecting with your audience will be vital to that film’s success. Web series forces you to learn very quickly. Think you have seen every Jane Austen adaptation to date? Think again. In their follow up to the Lizzie Bennet Diaries, Pemberly Digital have relocated Jane Austen’s Emma to the front room Emma Woodhouse, a young American lifestyle coach with a talent for matchmaking. 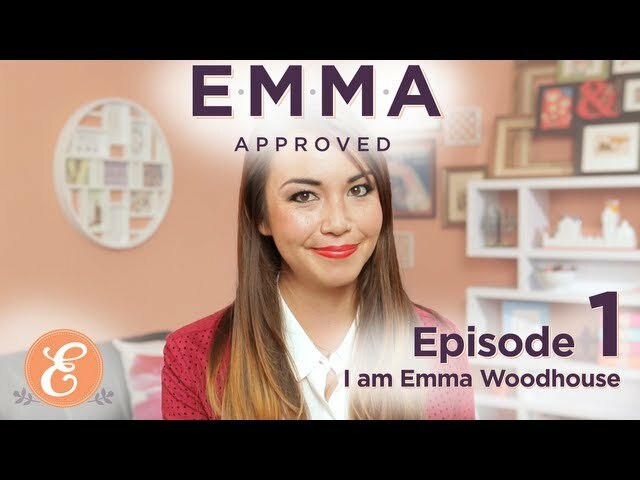 Emma Approved utilises the same formula that made Lizzie Bennet Diaries so successful namely the video diary scripted show that was pioneered by Lonelygirl15. Blue is about a mother who has been living a double life away from her child. Film star Julia Stiles stars as prostitute Blue whose life is then turned upside down when a client recognises her and her past begins to catch up with her. Blue is produced by WIGS who have carved a niche in the online indie TV world making dramas for a predominantly female audience. Missing Something is a new British sitcom created by two of its leading actors, Leila Sykes and Yaz Al-Shaater and is a great example for why we at Raindance encourage actors to learn about film production and script writing to take control of their own careers. Sykes and Al-Shaater have created a sitcom set in the world of London’s media agencies with all the bizarre characters you would expect to see. It’s funny and will appeal to anyone who watches comedy on BBC3 or Channel 4. What would happen when a Super-villainess got knocked up by her nemesis and America’s favourite superhero? That’s the premise of Super Knocked Up, a comedy web series that is a great example of one that knows its audience and how to engage them. The SKU YouTube channel isn’t just about promoting their sitcom, its a weekly hang out for superhero and sci fi geeks who tune into their regular talk show, Super Geeked Up. Proving to be very popular in the Stateside award season, Destroy The Alpha Gammas is a pop musical set in the brutal world of sorority feuds.. With music, songs, high production values and music video directing and editing this is a fast paced series for the generation brought up on Disney musicals but are now older and looking for something sexier and edgier. Its also a great vehicle for actress-creator Leah McKendrick. If you are interested to know more about Creating and Marketing Your Own Web Series then join me and Darren Chadwick-Hussein for a one day course on Saturday 15th March here at Raindance. For more details and booking info click here. We would like you to reconsider the best web series of 2013. For British sitcom from an Anglo-Asian perspective, you can also check out Shai Hussain's excellent THree Shades of Brown, http://www.threeshadesofbrown.co.uk. Series 1 just completed. Series 2 being planned now.